This Norton Critical Edition of Chaucer’s masterpiece is based on Stephen Barney’s acclaimed text and is accompanied by a translation of its major source, Boccaccio’s Filostrato. 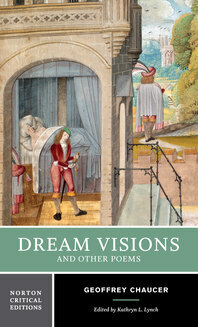 This Norton Critical Edition presents Chaucer’s four dream visions and selected shorter poems and is suitable for both beginning and advanced students. The texts are extensively glossed and are accompanied by individual introductions and explanatory annotations. A lightly regularized system of spellings has been adopted. No prior knowledge of Chaucer is assumed. “Contexts” connects the poems to their classical and medieval foundations and includes works by Virgil, Ovid, Cicero, Boethius, Dante, and Boccaccio, among others. From the wealth of scholarly work available, the editor has chosen for “Criticism” six essays that address the poems’ central themes. Contributors include Charles Muscatine, A. C. Spearing, R. T. Lenaghan, Richard Firth Green, Elaine Tuttle Hansen, and Steven Kruger.